Would you like to raise the engagement of children in the nursery or infant school? With Talking Playmats you can. Use the ClassroomPEN or PENpal to hear the sounds, rhymes, music and stories. 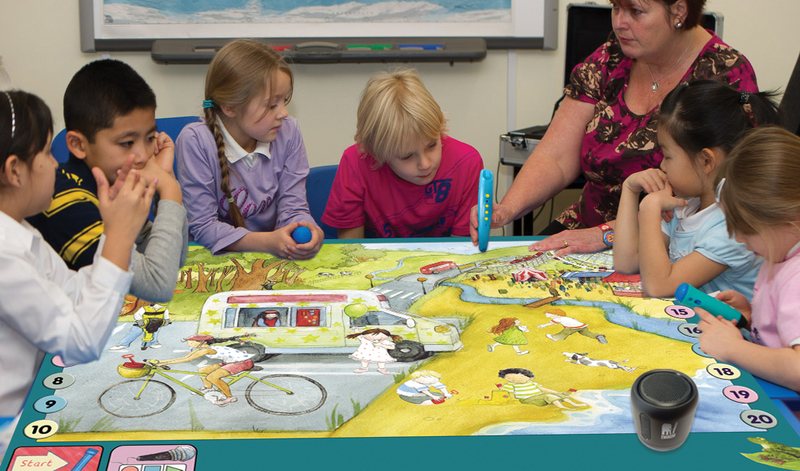 Children can also add their own voices, work collaboratively and practice their speaking and listening skills using their PENpal or ClassroomPEN. The foam mat is washable and durable. Measuring 140cm x 100cm it is big enough to play on, sit on and have lots of interactive fun.